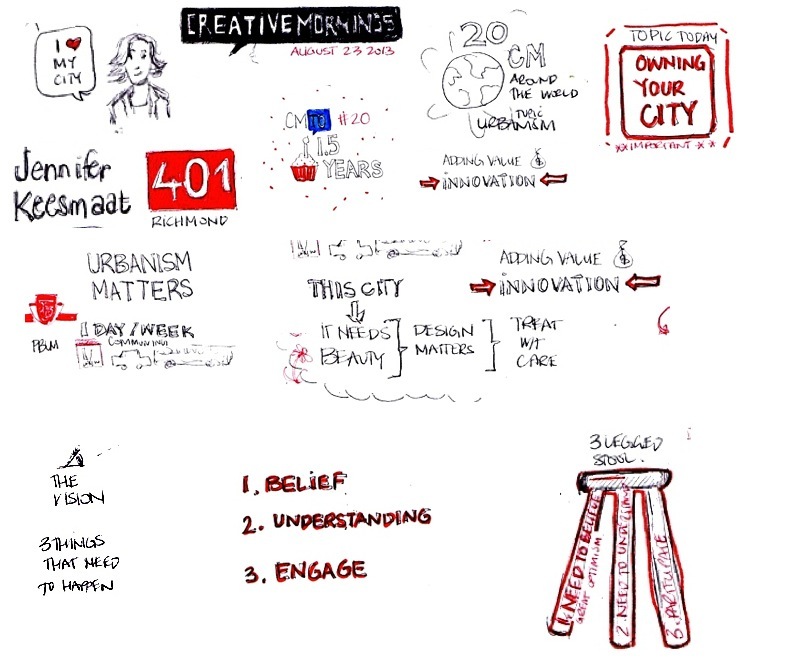 I attended the Creative Morning presentation by Jennifer Keesmaat and took this opportunity to do a little sketch noting during the presentation. It was a great presentation on urbanism in Toronto and what it takes to help make the city a better place. Check out my post on Modern Metropolis for more info.